So Make Up For Ever recently launched their Holiday 2016 Collection called Arty Collection. A handful of Beauty Bloggers (and I'm lucky to be included) were invited to take a sneak peek! 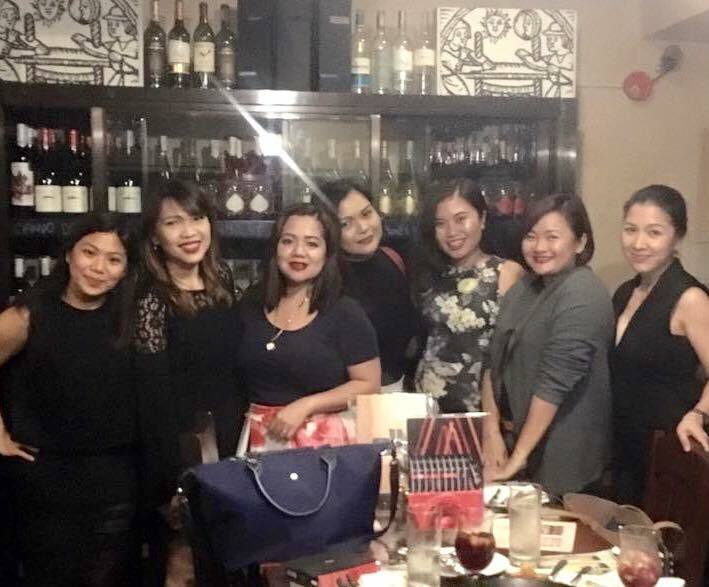 It was held at Barcino and seeing the Holiday Collection in the flesh is not it! We were even treated with a Beauty Bloggers' Bonding over Fun Home (starring Lea Salonga). Before I showcase each makeup from the collection, let me show you what we had for early dinner! Imagine, makeup testing, good food and wonderful company! What's more to ask? Chicken with potatoes and garlic dish. Sorry didn't get the exact name but feel free to show this photo because this tastes YUMMY! Now let's forget our tummy for a bit and talk about the Holiday 2016 collection. This is a very lightweight texture but extremely long-lasting! The polish-like bottle is too cute to resist. Thanks Make Up For Ever PH team Lyra and Renz. All the Beauty Bloggers in this photo wore at least ONE product from the ARTY Colleciton, I wore the Artistic Lip Ink which looks and feels amazing! For more information, follow Make Up For Ever PH on Facebook.